The pre-vacation nutrition plan you need to be on! 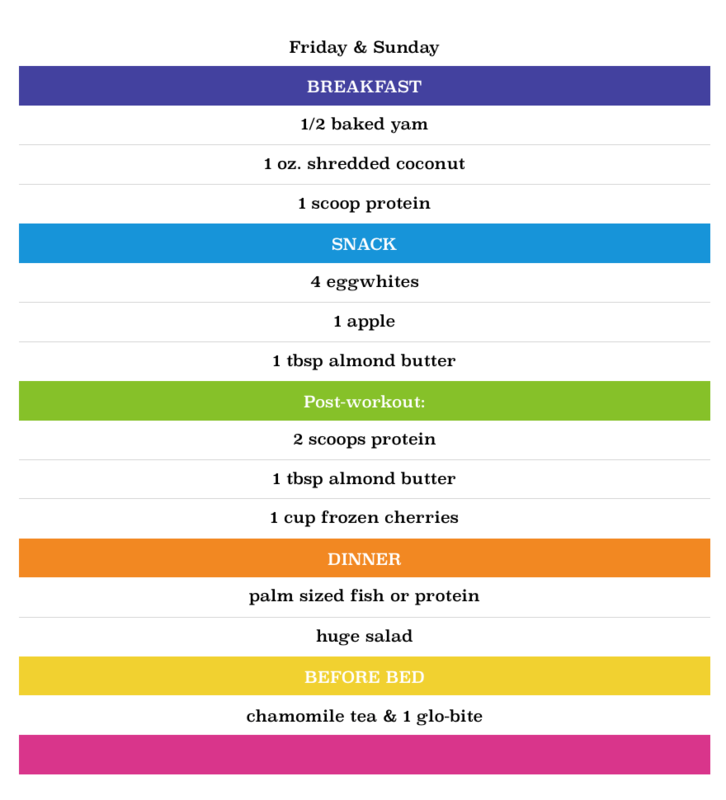 If you are following my meal plan from now until I leave for vacation, you know what you are eating on Monday, Tuesday, Wednesday & Saturday…. If not, here it is. For me, I have ramped up my workouts, but because I am such a creature of habit, it’s been hard to follow my own plan! I decided that Sunday will be my start day. Now that Sasha is feeling better, I don’t have to rush so much to take care of her. She is quite the independent 16 month old! It’s rather simple. This for me is different from what I eat everyday, because for starters, I don’t eat oatmeal. It’s very rare, sine I am sensitive to it, but since I will be running again (hopefully), I will need the extra carbs! 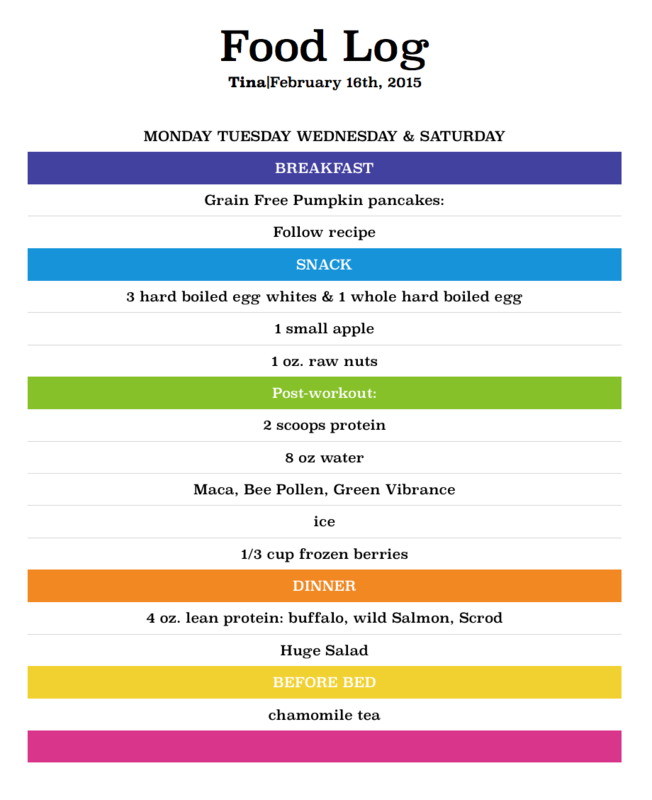 So here is Thursday’s meal plan. I know- It’s Friday, and I am behind… This is the problem with little miss Sasha! She was sick for almost a whole week, but on her way back to 100% feeling better!. And here is what you’ll eat (or what I will be eating) on Friday and Sunday. 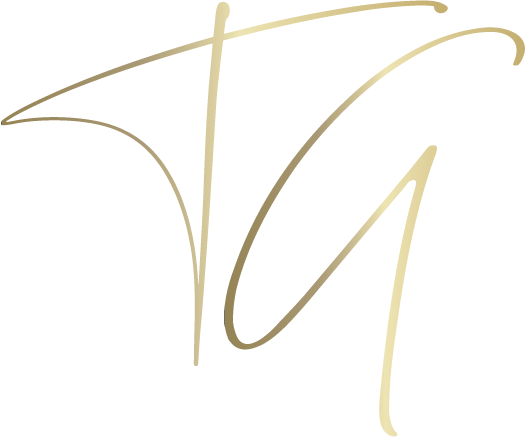 Can’t wait to share with you my workouts! Ps. 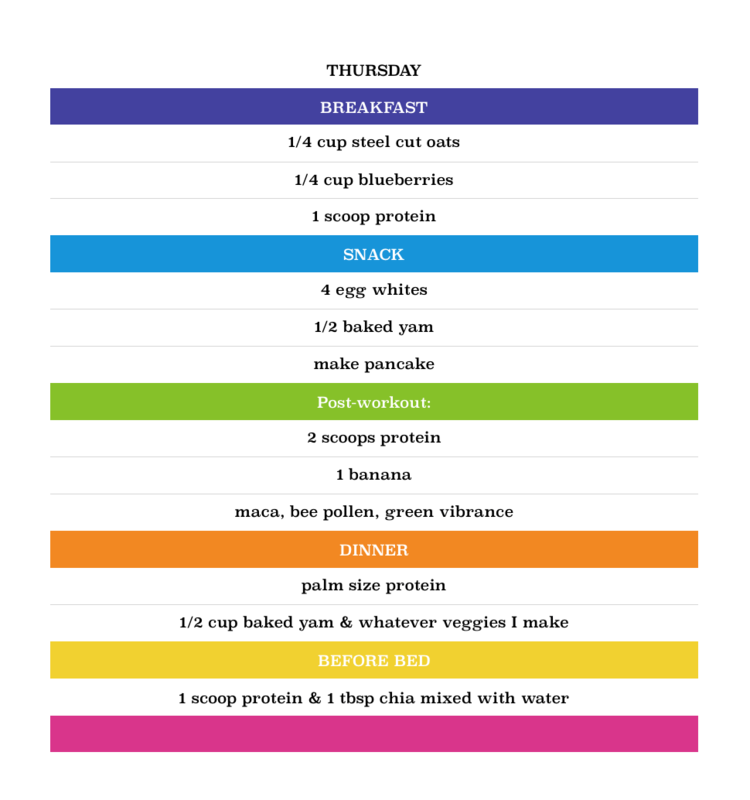 If you are going to do this meal plan, will you please tell me? I ‘d love to see how it works for you! As I said, if you are not used to eating this clean, you will drop a ton of weight. Yes, mostly water in the beginning, but then the fat drips off… IF YOU STICK TO IT! In my next blog, I’ll be sharing my workouts! I am in the process of making some videos too! So exciting!